Mix ingredients and share with friends. Add open ended questions or fill-in-the-blank sentences to taste. Boost and reply as necessary. Let’s be clear, there is no standard recipe for social media success. It is a process that’s different for each business; each will have different goals, methods, fans, and budgets. We’d like to share a success story about how we reached more than 32,000 Facebook fans with one post. We hope it will give you ideas to increase your fan base, customers, and sales. 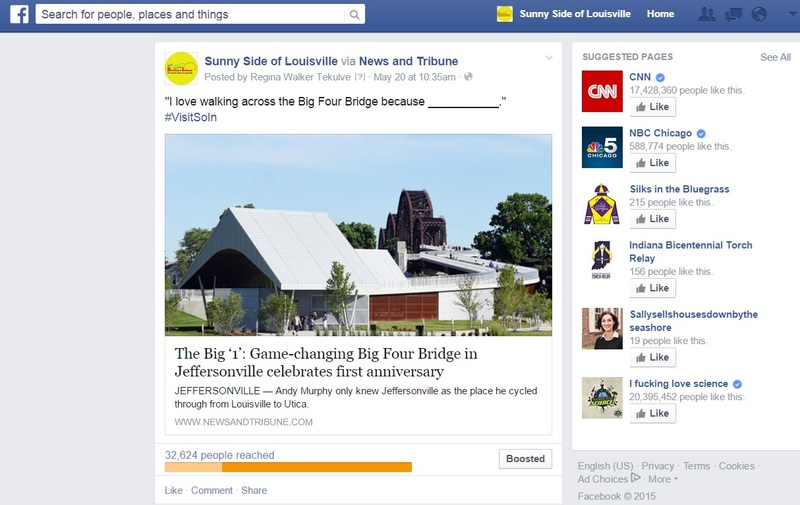 On May 20, the Clark-Floyd Counties CTB shared News and Tribune’s article, “The Big ‘1’: Game-changing Big Four Bridge in Jeffersonville celebrates first anniversary.” The results were remarkable. Initially, we boosted the campaign to a local audience. Our reasoning was we wanted more engagement. So we figured the people most likely to tell us their own experiences were those who had the most opportunity to walk it: locals. After we saw a number of comments, we boosted it to a wider geographic area. This ensured that potential visitors would see a popular post with comments from “real people” (not marketers) who had walked the bridge and had fun. 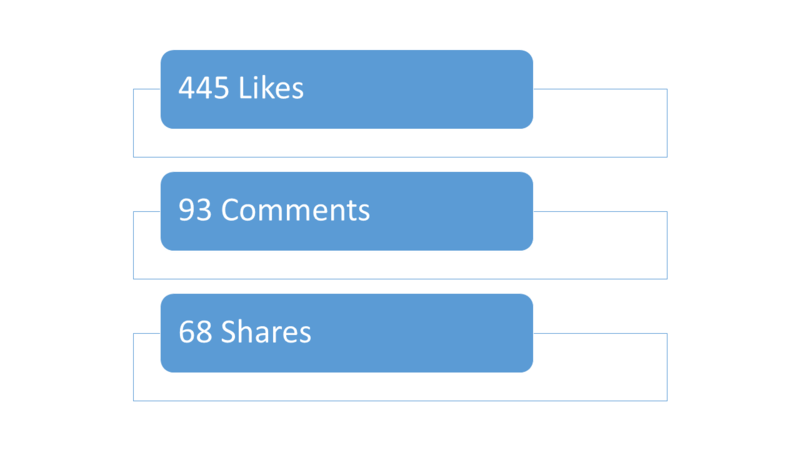 Of the 32,608 reached, more than 7,500 were reached organically from the Bureau’s existing 9,569 page likes. The money we spent on the boost (only $60 total) reached more than 25,000 people. The highlight of this story is the post’s engagement. More than 440 people liked the post, and 93 people commented on it. And 68 shared the post with their Facebook friends. People are still viewing, liking, and sharing it. Rather than a typical “post and boast” strategy, Walker-Tekulve set up a dialogue. She encouraged engagement by posting the following sentence: “I love walking across the Big Four Bridge because ________.” It struck a chord, and people started filling in the blank. The Big Four Bridge is a huge draw with tourists as well as locals. 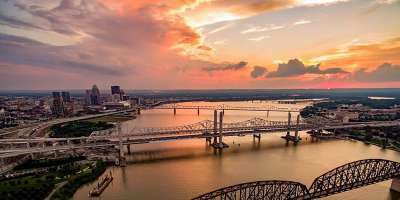 It has increased traffic and spending in downtown Jeffersonville, joined communities and states, increased community pride, and it is a river attraction. Add to these facts that people like to share their stories and opinions, and the post became a success. Have a social media success story you’d like to share? Tell us at the next SITC meeting or send an email to Luanne Mattson or Regina Walker-Tekulve.